Rapidly growing markets for halal meat have opened up huge opportunities for the UK livestock industry, auctioneers have said. The Muslim holy month of Ramadan began on May 15, marking 30 days of fasting from dawn to dusk. The Eid al-Fitr celebration takes place the first day after Ramadan finishes. Later in the year, the Eid al-Adha celebrations will in 2018 take place on August 21 which will boost the lamb trade, particularly ram lambs, meeting the Qurbani specifications. Livestock auctioneers in England and Wales highlighted the importance of the halal food sector as the holy festival began. A rapidly growing market, made up of a largely younger, more affluent demographic has seen demand for halal-certified foods continue to increase. 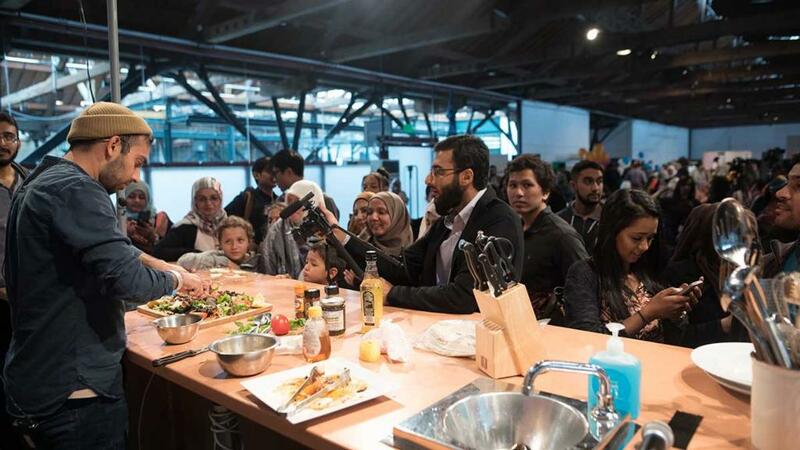 At the Halal Food Authority (HFA) Industry Conference in London, delegates heard how the Muslim population of London was now the same as the entire population of Birmingham, and 25 per cent of Muslims throughout the UK are under the age of 30. John Brereton, chairman of the Livestock Auctioneers Association (LAA), and partner at Jones Peckover, said: “Certainly, over the last couple of weeks, demand for old-season lambs, cull ewes and spring lambs has been very high. Rizvan Khalid, director of Euro Quality Lambs, the largest Muslim-owned lamb slaughterhouse in Europe, added: “The Muslim calendar is based on the moon, and this year Ramadan takes place from May 15 until June 14. Mr Brereton added there was also a strong export trade for animals meeting halal certification ‘with great demand for UK livestock’.